While I’ve been all about sharing planners and organizers lately, I thought I’d pop in today to share some tips to my fellow homemakers here in the Philippines. I’ve realized, I miss doing this! You’ve probably head the news: Maynilad Water Services, Inc. (Maynilad) is adjusting the water tariff this year. This increase might be a bit burden to us consumers so let’s think about some ways to minimize the impact of the adjustment. According to the Metropolitan Waterworks and Sewerage System – Regulatory Office (MWSS RO), the adjustment is for the funding of projects that will enhance water and wastewater services. This development will help protect the health of our kids and the entire family and yes, it will help preserve the environment as well. Don’t worry, the adjustment is going to be gradual. As you may know, water rates are adjusted every five years in a process called Rate Rebasing. The increase is based on the performance, expenses, earnings, unrecovered investments and service improvement plans of the water concessionaires. 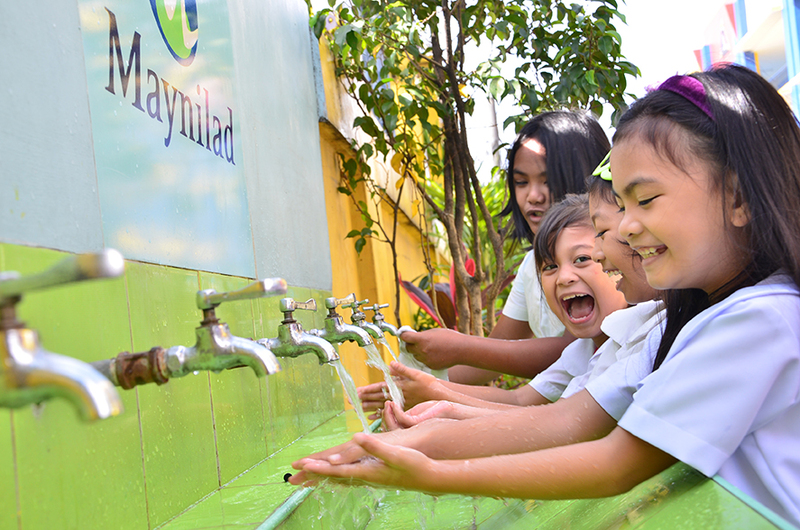 This process enables the gradual increase of water rates despite the massive, accelerated investments of Maynilad. This way, the impact on the water tariff paid by consumers like us would be somehow manageable. Here’s the thing: We can do something to minimize the impact of the tariff increase! The rate adjustment follows a structure so that those who consume less water are charged lower rates. This is one way to keep water charges for households low. Ergo, if we consume less water, there will be a minimal tariff increase in our end! Allow me to share a few ways by which we can save our water consumption. Maybe these super easy and practical tips can help you (like they way they’ve helped my family) in cutting monthly water bill. Who knows, if we all become more water-wise, we will not feel the tariff increase at all! Handwash. If you you don’t have enough laundry to fully load your washing machine, don’t use it yet- handwash instead! You will save on water and electricity. Turn off faucets. Make it a habit to never let water run needlessly when brushing, washing the dishes or washing your hands. Use a pail when washing your car instead of hose. Spend a shorter time in the shower. Aim to spend less than 10 minutes in the shower. Always fix a dripping tap. Be sure to fix leaks. By doing so, you will save gallons of water in a week! Consider using a pail when watering your plans. You can save water if you use a pail and it’s best to water your plants in the morning when int’s cooler. Collect rain water. You can save it for watering plants later on, or for cleaning your garage. But don’t forget to cover your tanks/ barrels to keep the mosquitos away. Report pipe leaks to Maynilad . 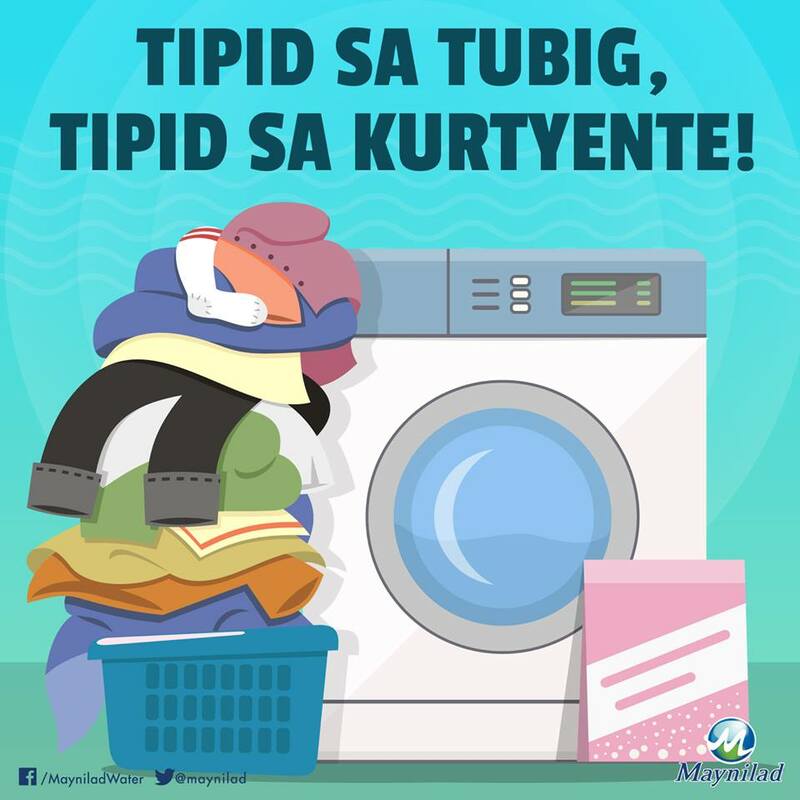 Call them at1626 or PM them on Facebook (https://www.facebook.com/MayniladWater/) or Twitter (https://twitter.com/maynilad). Let’s all be more water-wise, friends. Each member of the family can do his/her own little way to help conserve water! « Bible Verses About Mothers: Free Printable Wall Art!